Press releases from the Sports Information Directors from Central State University, Urbana University and the University of Dayton. 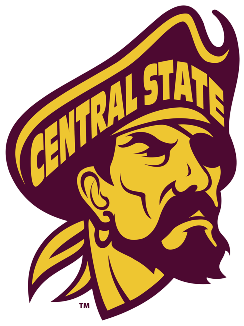 INDIANAPOLIS, Indiana – The Marauders of Central State University fell, 34-22, to rival Kentucky State University at the Circle City Classic on Saturday. KSU scored on its first two possessions with a pair of field goals from Turner Warren. Afforded ample time in the pocket throughout the first half, KSU quarterback Paul Campbell began the game completing 11 of 14 passes which included a 43 yard strike to Desmo Williams to set up the game’s first touchdown at the 8:55 mark of the second quarter. On the ensuing kickoff, Terraris Saffold<http://maraudersports.com/roster.aspx?rp_id=1833> put CSU on the board with an 85-yard kickoff return for a touchdown. For Saffold, it was the second straight week he scored from 80+ yards. An extra point try by Trevor Teel<http://maraudersports.com/roster.aspx?rp_id=1855> was good and CSU trailed, 13-7. The Thorobreds responded with a methodical 13 play, 62 yard touchdown drive ending with kicker Turner Warren running across the goal line for the score on a fake field goal. CSU managed to get within Teel’s range and knocked a 32 yard field goal to cut the deficit down to 10 as the first half expired. KSU quickly re-seized the momentum thanks to the legs of their premier running back Brett Sylve. On the first drive on the third quarter, Sylve recorded runs of 21 yards and 18 yards. He capped off the drive by scoring untouched from 4-yards out to give KSU a 27-10 lead. CSU quarterback Trent Mays<http://maraudersports.com/roster.aspx?rp_id=1840>, who entered the day as the passing leader in the SIAC, connected with Lavon Meeks<http://maraudersports.com/roster.aspx?rp_id=1829> for 31 yards down to KSU’s 2 yard line. Darien Nelson broke a tackle to score on the next play. A missed extra point attempt off the goal post resulted in CSU trailing, 27-16, at the 6:38 mark of the third quarter. With the game still in the balance, a high snap over Mays’ head ended up in a KSU recovery and touchdown. With 6:31 remaining, KSU appeared in complete control, 34-16. CSU refused to give in and scored on its next offensive possession as Mays rushed for a score from 20-yards out. With 4:20 left on the clock, CSU opted to attempt the onside kick. KSU successfully recovered and closed the game on out with the powerful running tandem of Sylve and Tyon Wilkerson. Sylve led all players with 155 rushing yards and a score. Campbell hit 26 of 39 targets for 244 yards and 1 touchdown as KSU improved to 2-2 overall with a 1-0 record in the SIAC West Division. Saffold shined for CSU on special teams as he accumulated 6 kick returns for 178 yards. On defense, Mikey’ion Hunter<http://maraudersports.com/roster.aspx?rp_id=1845> was impressive with a game-high 14 tackles. Falling to 0-4 overall and 0-1 in divisional play, the Marauders hope to turn the season around when they travel to play Benedict College. BUCKHANNON, W. Va. – Maurice Warren Jr. (Cincinnati, Ohio, La Salle) rushed for a career-high 171 yards and scored his first career touchdown to help lead Urbana football past West Virginia Wesleyan Saturday at Cebe Ross Field, 21-7. UU improved to 2-2 overall while earning its first Mountain East Conference win (1-2 MEC). The Blue Knights have now won back-to-back games for the first time since Nov. 8, 2014, which was the last time UU defeated Wesleyan. The Bobcats dropped to 2-2 on the year (2-2 MEC). The big road win is also the fastest to two victories by a UU squad since 2013. Warren led the ground attack with 5.3 yards per carry, as UU dominated the Bobcats with 250 rushing yards. The Blue Knights are now 17-3 when recording 200-plus yards on the ground. After a slow start on both sides, UU took a 7-0 lead just before halftime after a Tajuan Green to Rodell Rahmaan connection went 40 yards to the house. The sophomore wideout has now caught a touchdown in three straight outings. Trevon Saunders kept his touchdown streak going with an 18-yard score on the opening drive after the break to put UU ahead 14-0. It was Saunders’ 28th career TD catch and he only needs three more to break the all-time school record. Then, Wesleyan responded by scoring on the next drive with a successful fake punt play, but UU countered again by moving down the field and capping the final scoring drive of the contest with Warren’s five-yard jaunt. UU outgained WVWC 373-181, while the Blue Knight defense put up stellar numbers. The Blue Knights held the Bobcats to zero net rushing yards at halftime, and overall, UU limited the hosts to only one third-down conversion (14 attempts) and six first downs for the game. Duray Hall registered three sacks while Clayton Bullard had two and Mikal Toliver had one for a season-high six as a team. The Blue Knights have posted 18 sacks in four games. In the secondary, Sherman Watson had two breakups while Richie Carpenter Jr. and Roman Sneed also knocked down a pass attempt. MOREHEAD, Ky. – The University of Dayton football team dropped a 34-28 decision at Morehead State Saturday in the Pioneer Football League opener for both teams. Morehead scored the last 21 points of the game over the last eleven-and-a-half minutes of the game. The Flyers are now 1-3 on the year, while the Eagles even their record at 2-2. Dayton was led by running backs Sean Prophit and Tucker Yinger, who each gained 104 yards rushing, and quarterback Kyle Kaparos, who was 13 of 23 passing for 163 yards, and also ran for 54. UD is back home next Saturday, Sept. 30 against PFL preseason favorite San Diego. It will be a special 12 noon kickoff. The San Diego game is Dayton’s annual alumni reunion game, and the featured guests of honor will be the members of the 2007 team that won a PFL title, defeated Albany in the Gridiron Classic, and was named the NCAA Division I-AA Mid-Major National Champions.